The host presents top stories and details about the latest happenings from the national and international front in quick succession. ABP Ananda (also known as Anandabazar Patrika Ananda and formerly known as STAR Ananda) is a Bengali language 24-hour TV channel. 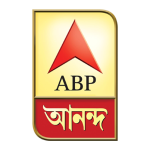 ABP Ananda popular Bengali news channel from MCCS, Star Ananda has now been rebranded as ABP Ananda from 1st June 2012. Watch ABP Ananda Bengali News Live.